Grant C. Wright is Counsel in the Princeton, NJ office of Hill Wallack LLP, where he is a member of the Trial & Insurance practice group. Mr. Wright concentrates his practice in personal injury, property damage and premises liability claims brought in the state and federal courts of New Jersey and Pennsylvania for a diverse range of clients. Mr. Wright earned an LL.M. in Trial Advocacy from Temple University’s Beasley School of Law. Prior to that, he earned his J.D. from Hofstra University’s Maurice A. Deane School of Law. He earned his B.S. in Political Science from Virginia Commonwealth University. 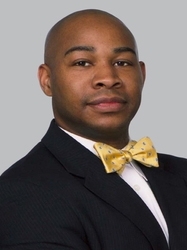 Mr. Wright is admitted to practice law in New Jersey (2008), New York (2006) and Pennsylvania (2012). Petitioned U.S. Supreme Court for certiorari regarding federal administrative board’s improper application of criminal doctrine to issue of civil law.